Having already united twenty countries across five continents since embarking upon its global journey in Brasil, the world’s most international, independent music festival brand is adding Australia, China and India to its unmatched international repertoire. 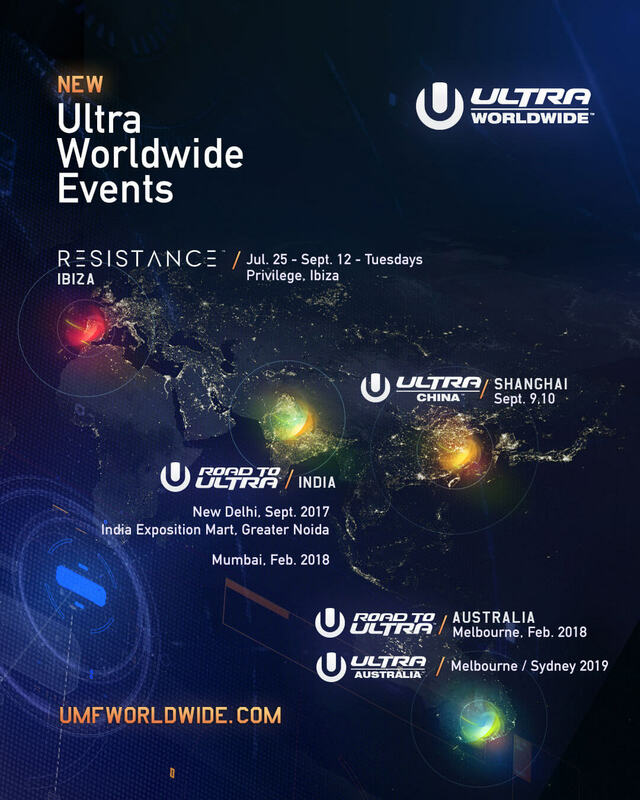 In addition to ULTRA China, brand new Road To ULTRA events will be landing in New Delhi, India at the India Exposition Mart, Greater Noida this year, and Mumbai, India and Melbourne, Australia in February, 2018. Following the first event in Melbourne in 2018, organizers can also reveal that full-scale festivals will then be touching down in both Sydney and Melbourne for 2019. More details will be released over the coming months.